In a large heavy-bottomed stock pot, sweat vegetables in the butter. Pour flour into the pot and stir until it absorbs all the fat. A little at a time, add in the beer stirring the whole time to evenly incorporate the flour mixture. 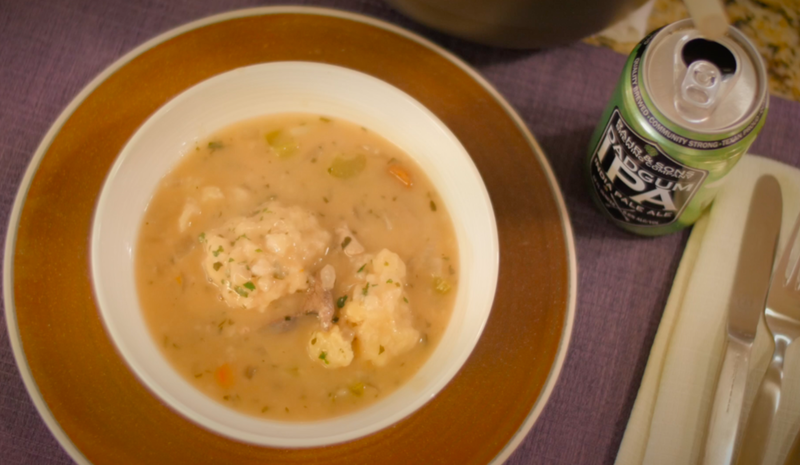 Reduce heat to a slow simmer and spoon golf ball-size dollops of dumpling dough (see sub recipe below) into the stew. Place tight fitting lid on the pot and simmer on low for 10 to 15 minutes until dumplings have cooked through.